A few months ago I posted a blog about an amazing wave of non-fiction on the subject of World War II. It is not unusual to think that as eye witnesses to this horrific event are getting older, the ones who have remained silent are beginning to feel an urge to share their stories with future generations. As I look at the 2012 fiction publishing program I have noticed a similar trend. There is a distinctive wave of novels dealing with both World War I and World II but what is interesting is that most of these writers come from a generation born after the war. Their stories emanate not from their own first- hand accounts but from family members sparked by objects and keepsakes that although silent are quite evocative. 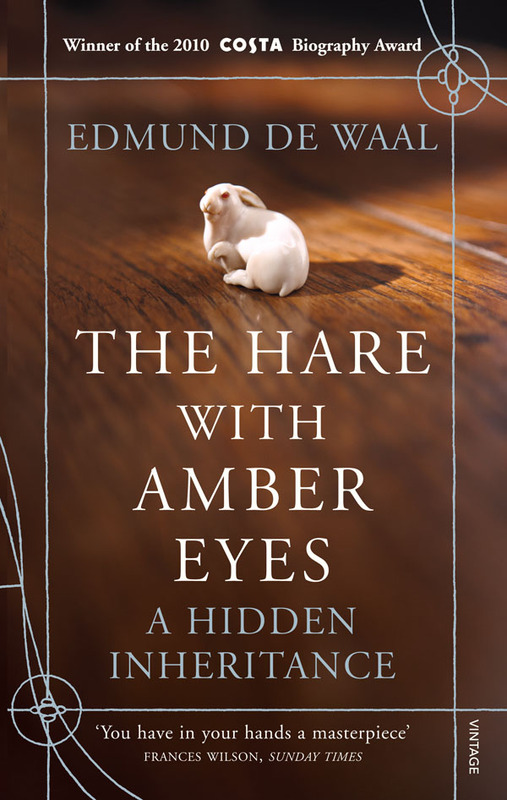 Although it has been months since I read The Hare with Amber Eyes, a fascinating memoir by Edmund de Waal tracing of his family and their wealth that disappeared in World War II, I still think about this book often. He spoke a lot about objects that have been lost and the necessity of restitution. However, he also pointed out that there are two kinds of restitution, one of them is the straight forward getting back what was looted. The second is more complex as it is really about restitution of stories of people who endured these catastrophic events. It is about giving them and us a sense ofcontinuity and reminding usof a moral obligation, not just of the families of those who perished but many if not all of us. It is great to see that many contemporary writers across a wide range of genres are up for this difficult challenge. And it is especially encouraging to see writers of popular fiction venturing into this territory, particularly because they reach such wide audiences. The forthcoming novel from Jojo Moyes, The Girl You Left Behind, is a perfect example of this. Jojo Moyes is known and well-loved for her romantic stories although she has not shied away from weaving in more challenging social and moral dilemmas. However, just reading the description and some early reviews of this new book makes me think that she is taking this novel to yet another level and is looking at “restitution “from a different perspective. 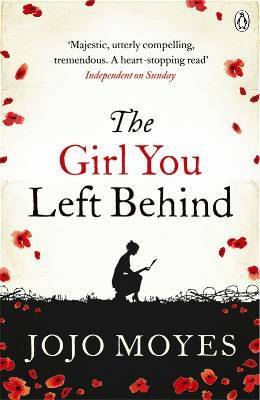 The Girl You Left Behind centers on two women -Sophie and Liv- separated by a century, a country, a language and their personal history, but united by an object: a portrait of Sophie. Sophie lived in France during the World War I and cherished her own portrait because it was given to her by her husband. Liv lives in 21st Century Sweden and loves the same painting, given to her by her deceased husband. Now this picture, which turns out to have been looted in World War I is the subject of a restitution case. As a consequence Liv is forced to ask herself: who is really the rightful owner of this portrait and why? While I have not read the book as yet it has definitely sparked my interest and the early reviews indicate that I won’t be disappointed. I’d love to hear from those of you who have had the chance to read it and don’t forget to add it to your wishlist. We’d also love to hear your stories about family portraits and heirlooms that have left you wondering or sent you to the library to find out more about where they came from. We’d love to hear from you, so if you would like to respond, you will need to have a blogger account. It only takes a couple of minutes to sign up- click this link. If you already gave a Google account it is even quicker. A Different Kind of Revival!